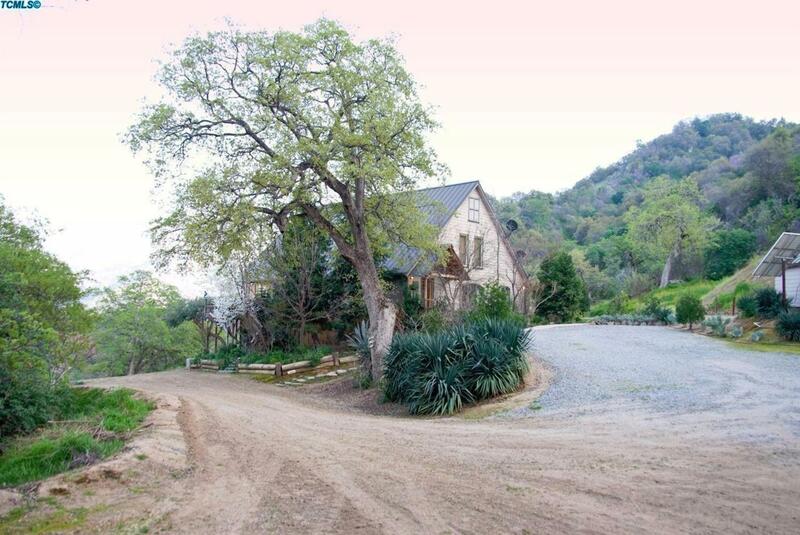 If your looking for a secluded house off the grid this ones for you. This impressive 2200 Sq.Ft., 3 Br., 2 Ba., solar home sits on 37 acres with some of the most incredible views in the area. Refurbished wood radiant heated floors, custom cabinets and granite tile counters are just a few of it's many features. Additional rooms include laundry w/pantry, private loft with partial bath, large mud room and unfinished basement under the house. A wrap around wood deck looks out upon the Sierra's and also included is a patio with built in barbecue for entertaining. Garden boxes and fruit trees add to this self sufficient life style. There is so much more to say about this home but come see for yourself this very special paradise. Listing provided courtesy of Ete Rothenberg of Country Properties.